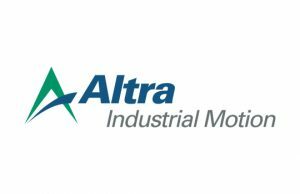 Altra Industrial Motion (AIMC) announced that its Board of Directors has unanimously approved a definitive agreement to combine Altra with four operating companies from Fortive’s (FTV) Automation and Specialty platform in a transaction, having an estimated aggregate value of approximately $3B, based on the 20-day volume weighted average stock price of Altra shares as of March 6, 2018. The transaction is expected to be tax free to the companies’ respective shareholders. As a result of this transaction, Altra will significantly expand its position across the technology spectrum by bringing together its strong mechanical and electronic capabilities in engineered power transmission, such as couplings, clutches and brakes and gearing with Fortive A&S’s strong electric, electronic and software content in precision motion control, including engineered servo-motors, direct drive and linear automation. Altra will have increased exposure to higher growth, higher margin categories as well as the scale and global reach to better serve its customers. It will also have an enhanced financial profile, with sales and earnings growth expected to generate substantial free cash flow enabling the company to quickly de-lever. The transaction will double Altra’s revenue to approximately $1.8B and increase its EBITDA to approximately $350M, or 20% margins for the twelve months ended December 31, 2017. The combined company is expected to generate cumulative five-year free cash flows in excess of $1B. The transaction is expected to be immediately accretive to non-GAAP adjusted diluted earnings per share. Upon close of the transaction, the combined company will continue to be led by Altra’s current Chairman and CEO, Carl Christenson, and Christian Storch will remain CFO. Altra’s senior management team will be expanded to include both Altra and Fortive A&S employees. Altra will increase the size of its Board with the addition of one board member designated by Fortive. Altra will remain headquartered in Braintree, Massachusetts. Following completion of the transaction, the combined company is expected to have approximately 9,300 employees worldwide, with approximately 4,600 coming from Altra and 4,700 joining from Fortive A&S. Shares of billboard advertisement seller and surety insurer Boston Omaha (BOMN) are rising following a Friday profile of the company in the Wall Street Journal. Shares of Boston Omaha, which is run by co-CEOs Alex Buffet Rozek and Adam Peterson, have more than doubled since listing on the Nasdaq Stock Market in June. The company, which recently reported third quarter revenue of $2.4M, has a market capitalization of over $447M with today’s advance. Rozek, who is Warren Buffett’s grandnephew, said the company receives no assistance from Buffett or Berkshire Hathaway (BRK.A, BRK.B) and does not advertise the link as he wants Boston Omaha’s results to stand on their own. 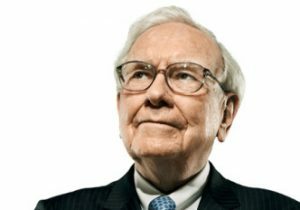 Boston Omaha shares jump on Buffett connection. “It’s not like there’s this private class that goes on for family members about business,” Rozek said. Boston Omaha, however has shown some similarities to Berkshire, including an acquisition focus on companies with consistent earnings and strong competitive positions, running acquired companies independently and skipping earning calls for an annual meeting. The company, which does not currently invest in stocks, is 55% owned by Peterson’s Magnolia Group and 12% owned by Rozek’s Boulderado Group and other entities he manages. 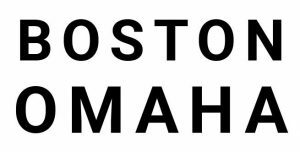 Boston Omaha is up 20.1%, or $5.69, to $34.02 in Tuesday’s trading. Including Friday’s advance, the stock is up over 33% over the last two sessions. 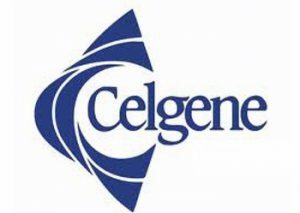 Juno Therapeutics (JUNO) and Celgene Corporation (CELG) released additional data from the TRANSCEND study of JCAR017 in patients with relapsed or refractory aggressive B-cell non-Hodgkin lymphoma. TRANSCEND is an open-label, multicenter Phase 1 study to determine the safety, pharmacokinetics, and antitumor activity of JCAR017 in adult patients with relapsed or refractory diffuse large B cell lymphoma, primary mediastinal B-cell lymphoma, follicular lymphoma Grade 3B, and mantle cell lymphoma. As with previous readouts, the TRANSCEND data were presented for both the core and full groups. The core group includes 29 patients who received dose level two, 34 patients who received dose level one, and 4 patients who received dose level one twice, approximately 14 days apart. The core group includes patients with DLBCL who are ECOG Performance Status 0-1. These patients represent a high-risk patient population, with approximately 90% of treated patients having one or more predictors of poor survival, including double or triple hit lymphoma, being chemorefractory to front-line or subsequent therapies, never reaching a complete remission with prior treatments, or never having undergone an autologous transplant. Enrollment of the pivotal cohort is ongoing with the core group at DL2. The full analysis group represents evaluable r/r patients in the DLBCL cohort, which includes an additional 24 patients with poor performance status or with niche subtypes of aggressive NHL. In both analysis groups all efficacy data are based on at least one month of follow-up with a 28-day restaging scan and all safety evaluable data are based on having received JCAR017 with at least one month of follow-up. Product was available for 98% of patients apheresed in the DLBCL cohort. Topline data from the presentation as of the October 9 data cutoff date included: Responses in core group: At DL2, the data showed a 3 month overall response rate of 74% and a 3 month complete response rate of 68%. Of patients that have reached 6 months of follow-up, 50% were in CR. Across doses, 80% of patients with CR at 3 months stayed in CR at 6 months, and 92% of patients in response at 6 months remain in response as of data cutoff. Across doses, median duration of response was 9.2 months and median durability of CR was not reached. Tolerability in core group:1% experienced severe cytokine release syndrome and 15% experienced severe neurotoxicity. 36% had any grade CRS and 21% had any grade NT. 58% had no CRS or NT of any grade. At dose level 1, 3% experienced severe CRS and 21% experienced severe NT. At dose level 2, 0% experienced severe CRS and 7% experienced severe NT. 13% received tocilizumab and 18% received corticosteroids. Tolerability across doses in full group:1% experienced severe CRS and 12% experienced severe NT. 35% had any grade CRS and 19% had any grade NT. 60% had no CRS or NT of any grade. The most common treatment-emergent adverse events other than CRS and NT that occurred at greater than or equal to 25% included neutropenia, anemia, fatigue, thrombocytopenia, nausea, and diarrhea. The most common TEAEs were similar between core and full groups. 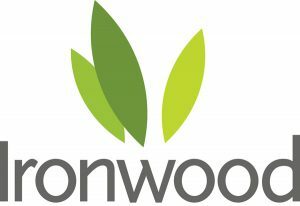 Ironwood Pharmaceuticals (IRWD) announced encouraging top-line results from two Phase IIa studies of IW-1973, Ironwood’s lead investigational soluble guanylate cyclase stimulator, in patients with type 2 diabetes and hypertension. Consistent with pre-clinical observations, in both studies treatment with IW-1973 led to blood pressure reductions and improvements in metabolic parameters, including reductions in fasting plasma glucose and cholesterol levels, in patients who were taking a stable regimen of therapies to manage their disease. Elevated levels of plasma cGMP provided clear evidence of target engagement. These studies confirm a pharmacokinetic profile of IW-1973 supporting once-daily dosing and suggest broad distribution to tissues, offering the potential for extra-vascular pharmacology. IW-1973 was generally well-tolerated. Ironwood is currently developing IW-1973 for the treatment of diabetic nephropathy and for the treatment of heart failure with preserved ejection fraction. The company recently initiated two new Phase II dose-ranging clinical trials with IW-1973 in these indications. The two Phase IIa exploratory studies were designed to evaluate the safety and tolerability, pharmacokinetics and pharmacodynamics of IW-1973 in diabetic patients with hypertension on a stable regimen of medicines to manage their disease. The studies were not designed or powered explicitly to assess efficacy, but the data yielded clear and consistent trends indicating a positive effect of IW-1973 on blood pressure, metabolic parameters and endothelial function biomarkers. At day 14, patients treated with IW-1973 showed a mean decrease in mean arterial blood pressure of 6.3 mmHg from baseline compared to a decrease of 1.6 mmHg from baseline in patients treated with placebo, as measured by 24-hour ambulatory blood pressure monitoring, which was a 4.7% greater reduction in patients treated with IW-1973 compared to placebo-treated patients. Cytokinetics (CYTK) announced that Ventilatory Investigation of Tirasemtiv and Assessment of Longitudinal Indices after Treatment for a Year in ALS, or VITALITY-ALS, the international Phase 3 clinical trial of tirasemtiv in patients with amyotrophic lateral sclerosis, or ALS, did not meet the primary endpoint of change from baseline in slow vital capacity, or SVC, which was evaluated at 24 weeks following randomization or any of the secondary endpoints in the trial which were evaluated at 48 weeks. No new safety or tolerability findings related to tirasemtiv were identified in VITALITY-ALS. Serious adverse events were similar between patients who received tirasemtiv or placebo but more patients discontinued double-blind treatment on tirasemtiv than on placebo primarily due to non-serious adverse events related to tolerability. The decline in SVC from baseline to 24 weeks was smaller in patients who received any dose of tirasemtiv in VITALITY-ALS compared to the decline in patients receiving placebo. The largest differences from placebo were observed in patients randomized to the mid- and high-dose groups of tirasemtiv who could tolerate and remain on their target dose, although those differences were not statistically significant. “While we are deeply disappointed by the results of VITALITY-ALS, we remain committed to people with ALS who are fighting this devastating disease and who need new therapies to slow the decline of respiratory function and muscle strength that are key hallmarks of disease progression,” said Robert Blum, Cytokinetics’ President and CEO. Intra-Cellular (ITCI) announced that the FDA has granted Fast Track designation for lumateperone for the treatment of schizophrenia. Lumateperone (INN; developmental code names ITI-007, ITI-722) is an investigational atypical antipsychotic which is currently under development by Intra-Cellular Therapies, licensed from Bristol-Myers Squibb, for the treatment of schizophrenia. It is also being developed by Intra-Cellular Therapies for the treatment of bipolar disorder, depression, and sleep and behavioral disturbance in dementia, autism, and other neuropsychiatric disorders. The company requested Fast Track designation for lumateperone based on clinical evidence that lumateperone has the potential to address the unmet medical need for the treatment of schizophrenia with significant improvements on several clinically significant safety parameters, including with respect to metabolic, motor and cardiovascular issues associated with many currently available antipsychotic agents. The FDA’s Fast Track designation is designed to facilitate the development and expedite the review of drug candidates to treat serious and life-threatening conditions. Fast Track designation may allow for more frequent meetings and communications with the FDA to discuss a drug candidate’s development plans and review process. Drug candidates with Fast Track designation may also qualify for priority review to expedite the FDA review process, if relevant criteria are met. Novocure (NVCR) announced results from a retrospective post-hoc analysis of its phase 3 pivotal EF-14 trial data showing that increased compliance with Optune predicted increased survival in glioblastoma patients. Glioblastomas are tumors that arise from astrocytes—the star-shaped cells that make up the “glue-like,” or supportive tissue of the brain. These tumors are usually highly malignant (cancerous) because the cells reproduce quickly and they are supported by a large network of blood vessels. Glioblastomas are generally found in the cerebral hemispheres of the brain, but can be found anywhere in the brain or spinal cord. Results were highlighted in an oral presentation at the 22nd Annual Meeting of the Society for Neuro-Oncology in San Francisco. The analysis showed that an Optune compliance threshold as low as 50% correlated with significantly improved outcomes in patients treated with Optune together with temozolomide compared to patients treated with temozolomide alone. The results also demonstrated that the greater patients’ compliance with Optune, the better their outcomes. Patients who used Optune more than 90% of the time had the greatest chance of survival: a median survival of 24.9 months from randomization and a five-year survival of 29.3%. The median time from diagnosis to randomization was 3.8 months for patients treated with Optune together with temozolomide. Novocure’s phase 3 pivotal EF-14 trial compared Optune in combination with temozolomide to temozolomide alone in 695 patients with newly diagnosed GBM. The trial was designed to test both progression free survival and overall survival. The trial demonstrated unprecedented five-year survival results in newly diagnosed GBM. Patients treated with Optune in combination with temozolomide experienced a significant extension of overall survival without added systemic toxicity compared to patients treated with temozolomide alone. The data also showed that Optune-treated patients were able to maintain quality of life for longer compared to patients treated with temozolomide alone. Patients in the EF-14 trial treated with Optune together with temozolomide were recommended to use Optune 75 percent of the time, or 18 hours per day. This new analysis demonstrated that a threshold value as low as 50% compliance with Optune led to an extension of both PFS and OS versus temozolomide alone. As compliance increased to 75% or greater, the survival benefit significantly increased. Patients who used Optune 70-80 percent of the time had a median survival of 21.7 months. The data also show that increased compliance independently predicted survival and was not affected by prognostic factors such as performance status, age or MGMT methylation. Merit Medical (MMSI) has signed an asset purchase agreement with Becton, Dickinson (BDX) to acquire certain assets which BD proposes to sell in connection with its proposed acquisition of C.R. Bard. Merit’s proposed asset acquisition is subject to the closing of BD’s proposed acquisition of Bard as well as other usual and customary closing conditions. The assets to be acquired are soft tissue core needle biopsy products currently sold by BD under the trade names of Achieve Programmable Automatic Biopsy System, Temno Biopsy System and Tru-Cut Biopsy Needles. Additionally, Merit proposes to acquire the Aspira Pleural Effusion Drainage Kits and the Aspira Peritoneal Drainage System currently marketed by Bard. The purchase price for the product lines and related assets to be acquired is $100M, subject to adjustment for fluctuations in the value of transferred inventory. Merit intends to finance the acquisition at closing through borrowings which are currently available under its revolving credit facility. After giving effect to the proposed transaction, Merit anticipates its debt to adjusted EBITDA will increase from approximately 2.20 to approximately 2.70. This transaction is expected to be accretive to both GAAP and non-GAAP earnings in 2018. Merit’s management expects the acquisition to provide incremental annual revenues in the range of $42M-$48M, adjusted gross margins for the subject product lines in the range of 60-70%, and, over a period of six to twelve months, to be accretive by 50-120 basis points to Merit’s adjusted gross margins. The transaction is also expected to expand operating margins and increase cash flow. Merit’s management expects the acquisition to provide 10c-19c in adjusted non-GAAP EPS accretion in FY18. Shares of Envision Healthcare (EVHC) are on the rise following a report by Bloomberg claiming the company has attracted buyout interest from private equity investors. The hospital based physician group, which activist Starboard Value has targeted, had previously announced that it was exploring options to enhance shareholder value. Meanwhile, Baird analyst Whit Mayo told investors that Envision could be worth in the area of $40 per share in a leveraged buyout, which is an estimated value that his peer at Keybanc also sees as possible. According to a report by Bloomberg, Envision has attracted buyout interest from firms including Carlyle Group (CG) and Onex Corp. The two are among companies that may bid for Envision alone or as part of a group, the report added. The health-services provider has been under pressure from activist investor Starboard Value, who revealed a stake in Envision in October and recommended the company as an attractive takeover target, Bloomberg noted. In a research note to investors published prior to the release of Bloomberg’s report, Baird‘s Mayo noted that he would guess that about three to four hedge funds now collectively own about 20% of Envision Healthcare, with “potentially more in the shadows,” and that a leveraged buyout is “very doable” if one believes there is an investment case for industry volumes. If there is a case seen for structural changes in volumes, cash collections and/or physician rate, Mayo sees the potential for “very acceptable returns” on a theoretical leveraged buyout in the $40 per share area, he contended. #Mayo pointed out that he thinks the upside risk of a leveraged buyout is being “underappreciated,” and reiterated an Outperform rating and $35 price target on the shares. Meanwhile, KeyBanc analyst Jason #Gurda told investors in a research note of his own that he also believes a private equity buyer could reasonably bid “in the low $40s” for Envision in a leveraged buyout. The analyst noted that he was not surprised to hear of reports that there is private equity interest in the company as in the past there has been a considerable level of private equity investment in both of Envision’s business segments – physician services and ambulatory surgical centers. Gurda reiterated an Overweight rating on the stock, while raising his price target on the shares to $40 from $37. In Tuesday’s trading, shares of Envision have jumped about 7% to $27.66. Year-to-date, however, the stock is still down over 56%. Shares of Buffalo Wild Wings (BWLD) are sharply higher following a Wall Street Journal report saying that private-equity firm Roark Capital Group has made a bid for the company. According to the report, Roark offered to pay “more than $150 a share,” or more than $2.3 billion, for Buffalo Wild Wings. Buffalo Wild Wings has faced some trouble over the last year, as the company struggles with high wing costs and declining sales at stores open for at least 15 months. Activist investors at Marcato Capital Management won several board seats during the summer and are pushing the company to franchise more of its restaurants and improve its technology. #Mizuho analyst Jeremy Scott wrote to clients that “we can only speculate as to whether or not this bid was solicited.” But he also thinks the company’s board is likely taking the offer seriously. “We anticipate that the activist refranchising initiative may have faced growing resistance both internally and externally,” he adds. Wells Fargo analyst Jeff Farmer has “conviction in a potential Roark acquisition,” due to the company’s financial struggles as of late and its “leadership void” — CEO Sally Smith announced her resignation on the same day that Marcato won its board seats. He thinks that there is “modest opportunity for a competing bid” but isn’t sure if one will come around. On one hand, investors might feel that a $150/share bid undervalues the company. But interested bidders might not want to pay much more for Buffalo Wild Wings given falling traffic and weak financials at the chain. Credit Suisse analyst Jason West says he views the offer as a modest surprise given the latter’s negative same store sales and margins trends in recent years. 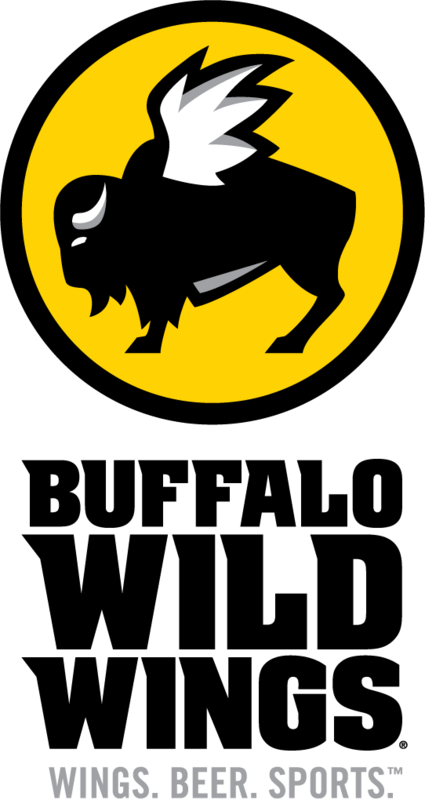 The analyst reiterates a Neutral rating on Buffalo Wild Wings’ shares. Maxim analyst Stephen Anderson notes yesterday’s press speculation of a bid for Buffalo Wild Wings from Roark Capital, saying that while the $150/share price is “plausible”, there is potential for a competing bid given the company-specific initiatives to cut expenses and an improving food cost climate. Anderson says that despite the industry headwinds and the pending exit of CEO Sally Smith, the company is laying the groundwork for a return to SSS growth, margin expansion, and increased shareholder returns. The analyst also says the recent decline in spot wing costs, already down 15% since summer end, will add to EPS next year. Anderson keeps his Buy rating and $160 price target on Buffalo Wild Wings. Stifel analyst Chris O’Cull said he thinks Roark could be a credible buyer given its success with several restaurant investments, including Wingstop, and that BWW could be a willing seller given Marcato’s involvement and the company’s recent struggles defining a clear vision for improving shareholder value. O’Cull has a Hold rating and $115 price target on Buffalo Wild Wings shares. BWLD closed at $117.25. It last traded at $148.40. Shares of Omeros (OMER) are up 40% after the company last night reported financial results for the third quarter and announced recent highlights and developments. Omeros said that it met with the FDA in follow-up to the FDA’s granting breakthrough designation for OMS721 in IgA nephropathy to discuss Phase 3 trial design. “The Agency’s meeting minutes make clear that approval can be obtained with a single successful Phase 3 trial with reduction in proteinuria as the primary efficacy endpoint. Depending on the size of the effect on proteinuria, either full approval or accelerated approval is possible. If full approval is granted based on reduction in proteinuria, estimated glomerular filtration rate will be followed as part of the safety assessment. Any effect of OMS721 on eGFR is likely to result in additional label claims for the product. If, based on the effect on proteinuria, accelerated rather than full approval is granted, marketing of OMS721 would be allowed during which time confirmatory data on long-term effects of OMS721 on eGFR would be collected. These eGFR data, if satisfactory, would then form the basis for full approval,” the company stated. Proteinuria is the presence of excess proteins in the urine. In healthy people, urine contains very little protein; an excess is suggestive of illness. IgA nephropathy, also known as Berger’s disease, is a kidney disease that occurs when IgA deposits build up in the kidneys, causing inflammation that damages kidney tissues. IgA is an antibody—a protein made by the immune system to protect the body from foreign substances such as bacteria or viruses. In Friday’s trading, Omeros shares are up $4.35, or 31%, to $18.44. Study 202C in moderate PPD. Brexanolone achieved the primary endpoint in both trials, a mean reduction from baseline in the Hamilton Rating Scale for Depression total score compared to placebo at 60 hours. Patients treated with brexanolone demonstrated mean reductions from baseline in HAM-D total scores of 14 to 20 points at 60 hours maintained to 30 days in both trials. Brexanolone was generally well tolerated and showed a similar safety profile as seen in earlier studies. Sage believes these data will be sufficient to support submissions of regulatory applications seeking approval of brexanolone for PPD. Sage plans to file a New Drug Application with the FDA in 2018. Shares of Marinus Pharmaceuticals (MRNS) are also higher. The move comes after Sage Therapeutics announced that its Phase 3 clinical trial with its proprietary i.v. formulation of #brexanolone in severe postpartum depression achieved its primary endpoint. #Marinus is preparing to initiate clinical trials with Captisol-enabled ganaxolone IV in patients with postpartum depression. H.C. Wainwright analyst Joseph #Pantginis notes Ligand Pharmaceuticals (LGND) partner Sage Therapeutics announced positive top-line data of brexanolone for patients with moderate and severe postpartum depression. Recall that brexanolone is one of the “Big Six assets” at Ligand which is expected to receive a 3% royalty on sales, Pantginis tells investors in a research note. 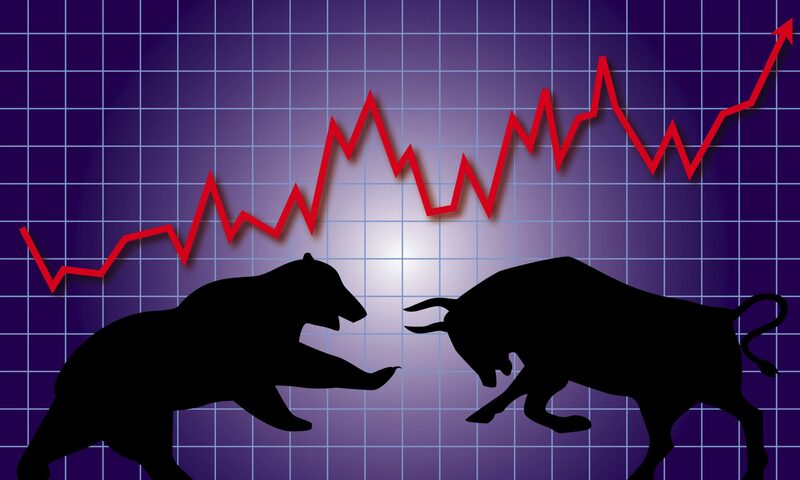 The analyst raised his price target for Ligand shares to $159 from $157 and keeps a Buy rating on the shares. BMO Capital analyst Gary Nachman calls today’s Phase 3 data in post-partum depression a “very significant milestone” for Sage Therapeutics. The analyst sees a “high probability of approval” in the U.S. and Europe based on these data. Further, he thinks they could potentially bode well for the anticipated SAGE-217 results in both major depressive disorder and for in postpartum depression. #Nachman reiterates an Outperform rating on Sage with an $80 price target. In Thursday’s trading SAGE is up 44% to $90.65 per share. 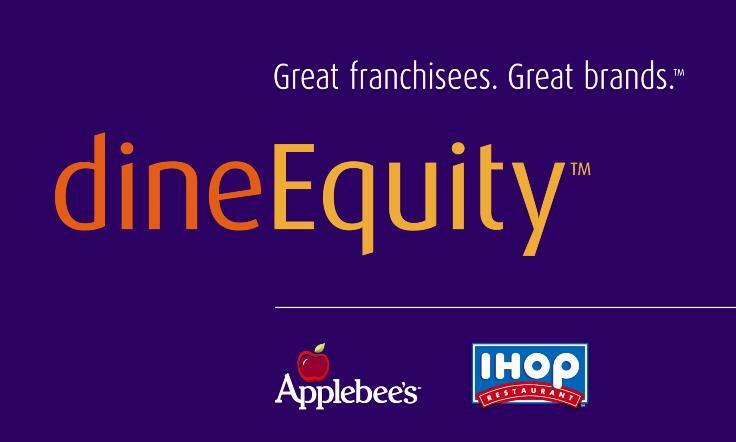 DineEquity (DIN) revises expectations for Applebee’s domestic system-wide comparable same-restaurant sales performance to range between negative 5.5% and negative 6.5%. This compares to previous expectations of between negative 6.0% and negative 8.0%. Reiterates expectations for IHOP’s domestic system-wide comparable same-restaurant sales performance to range between negative 1.0% and negative 3.0%. Reiterates expectations for Applebee’s franchisees to develop between 20 and 30 new restaurants globally, the majority of which are expected to be international openings. Reiterates expectations for Applebee’s closures to range between approximately 105 and 135 restaurants. Reiterates expectations for IHOP franchisees and its area licensee to develop between 80 and 95 restaurants globally, the majority of which are expected to be domestic openings. Revised expectations for IHOP closures to range between 25 and 30 restaurants. This compares to previous expectations of between 20 and 25 restaurants. Revised expectations for Franchise segment profit to be between $297 million and $303 million. This compares to previous expectations of between $302 million and $314 million. This downward revision is primarily due to additional expected reserves related to the collectability of Applebee’s royalties. Reiterates expectations for the Rental and Financing segments to generate approximately $38 million in combined profit. Reiterates expectations for general and administrative expenses to range between $166 million and $172 million, including non-cash stock-based compensation expense and depreciation of approximately $22 million. Reiterates expectations for interest expense to be approximately $62 million. Approximately $3 million is projected to be non-cash interest expense. Reiterates expectation for the income tax rate to be approximately 40%. Revised expectations for cash flows provided by operating activities to range between $64 million and $74 million. This compares to previous expectations of between $80 million and $90 million. The decline is primarily due to the timing of fourth quarter 2017 marketing spend and projections for lower Franchise segment profit as discussed above. Reiterates expectations for capital expenditures to be approximately $14 million. Revised expectations for adjusted free cash flow (See “Non-GAAP Financial Measures” below) to range between $60 million and $70 million. This compares to previous expectations of between $76 million and $86 million. Alnylam Pharmaceuticals (ALNY) announced the initiation of the ENVISION Phase 3 clinical study with givosiran, a subcutaneously administered, investigational RNAi therapeutic targeting aminolevulinic acid synthase 1 for the treatment of acute hepatic porphyrias. Hepatic porphyrias is a form of porphyria in which the enzyme deficiency occurs in the liver. Examples include (in order of synthesis pathway): Acute intermittentporphyria. Porphyria cutanea tarda and Hepatoerythropoietic porphyria. Hereditary coproporphyria. The company is also reiterating its previous guidance that it expects to report interim analysis data in mid-2018 and, assuming positive results and pending U.S. FDA review of the program at the time of the interim analysis, it intends to file a New Drug Application for givosiran at or around year-end 2018. Alnylam has also reached alignment on the ENVISION Phase 3 study design with the EMA. Givosiran previously received Breakthrough Therapy designation by the FDA and PRIME designation by the EMA. The ENVISION Phase 3 trial is a randomized, double-blind, placebo-controlled, global, multicenter study in more than 20 countries to evaluate the efficacy and safety of givosiran in approximately 75 patients with a documented diagnosis of AHPs. Patients will be randomized on a 1:1 basis to receive 2.5 mg/kg of givosiran or placebo subcutaneously administered monthly, over a 6-month treatment period. The primary endpoint is the annualized rate of porphyria attacks requiring hospitalization, urgent healthcare visit or hemin administration at home over the 6-month treatment period. The planned interim analysis will evaluate reduction of a urinary biomarker – aminolevulinic acid – in 30 patients after three months of dosing, as a surrogate endpoint reasonably likely to predict clinical benefit. Key secondary and exploratory endpoints will evaluate reductions in the hallmark symptoms of AHPs, such as pain, nausea, and fatigue, as well as impact on quality of life. All patients completing the 6-month treatment period will be eligible to continue on an open-label extension study in which they will receive treatment with givosiran for up to 30 months.